Manohar Lal and Asha Ram came to Australia for 4 weeks over March and April to complete commissions, a series of workshops and demonstrations. This was Manohar Lal's sixth visit to Australia and Asha Rams first. 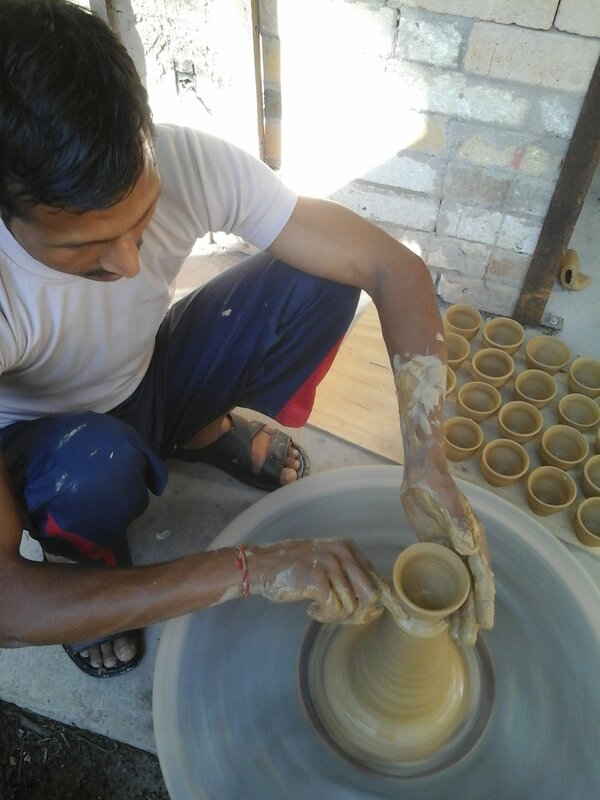 Manohar makes large flowerpots and Asha Ram big waterpots in their home workshops in Kumhaargram, a potters colony on the outskirts on New Delhi. Here they put their remarkable skills to making a diverse range of objects. 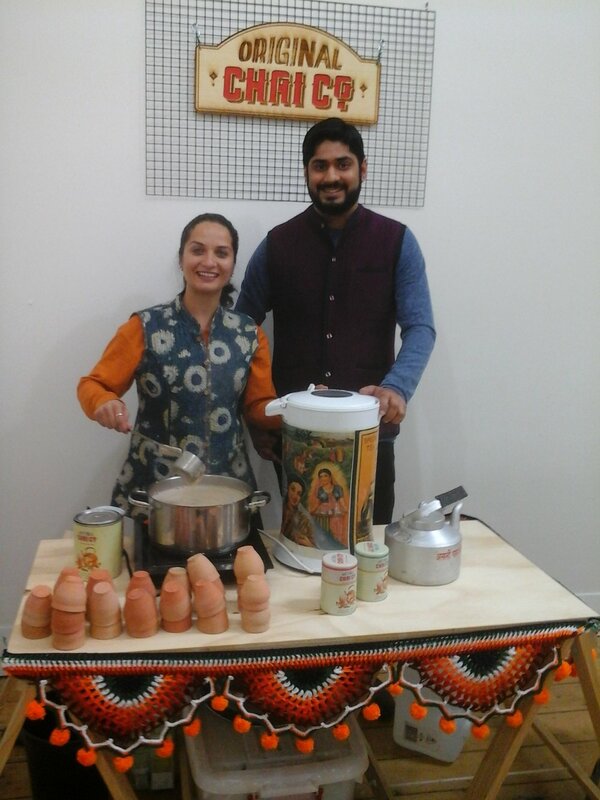 Our first project was working with Gouri and Apoorv from Original Chai Company www.originalchaico.com.au making chai cups for their tea stalls and online shop. 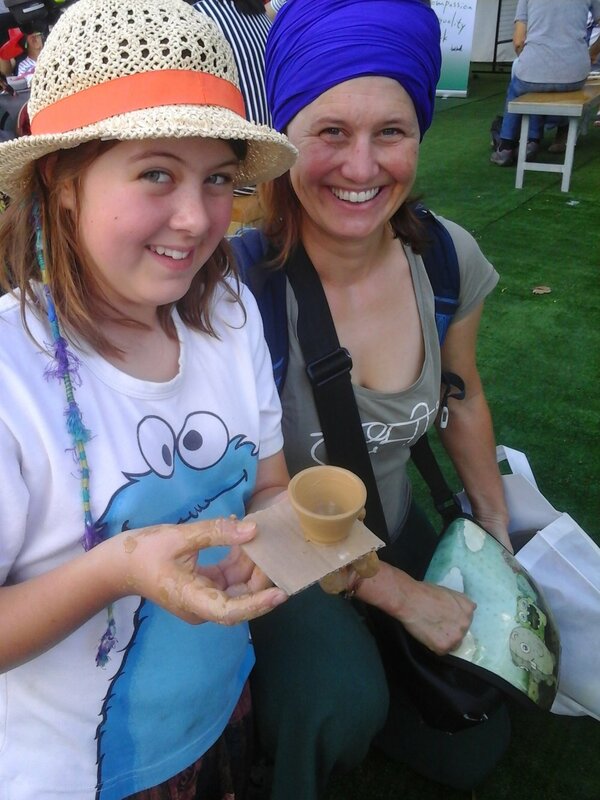 We also had a lot of fun at the Victorian Mutli-Cultural Festival in Birrarung Marr with Gauri, Apoorv and festival visitors. 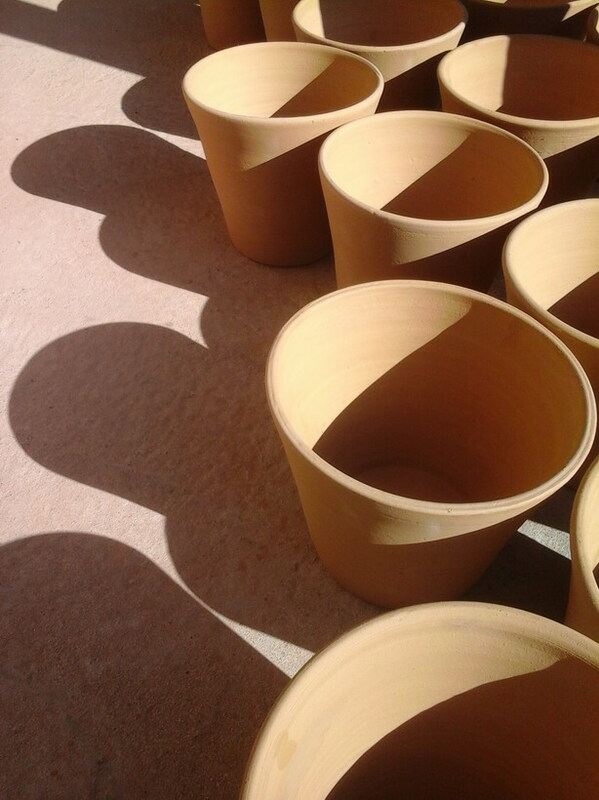 We made chai cups, beakers and planters for Mr Kitly www.mrkitly.com.au. This culminated in an afternoon of chai drinking, demonstrations, a stack of chai cups and a display of my chai cups collected since 2002. The team returned to ArtPlay for an action packed weekend. Chetna Mahadik and Deepak Prakash helping out with interpreting. We presented 3 workshops. Children made a small pot on the traditional wheels assisted by either Manohar Lal or Asha Ram, painted a small bowl made by the potters and watched a short film shot in their home workshops including scenes from village life. Sunday afternoon was a family drop in session. Once again children had the opportunity to make a small pot as well as contributing to the painting 3 large water pots. 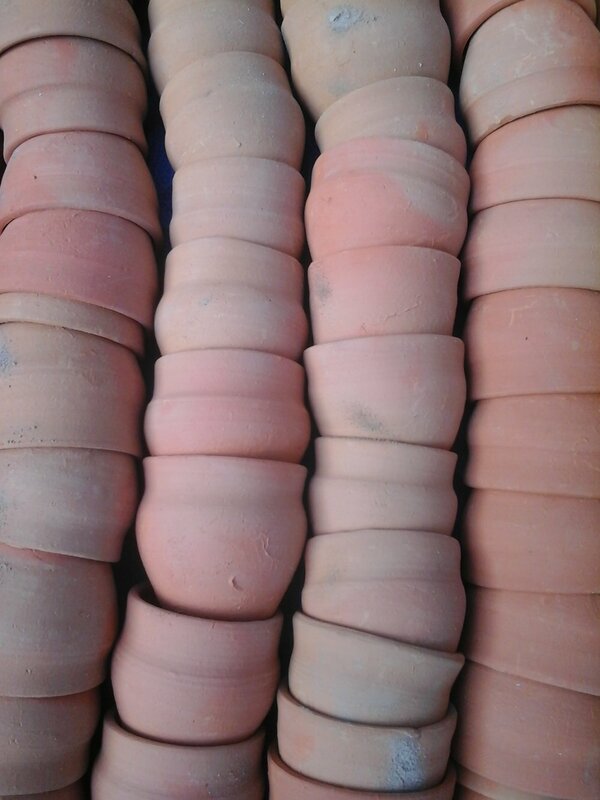 These pots where given to the children of Tallarook Primary School for their sculpture garden . We then travelled to Castlemaine. Ann Ferguson facilitated a series of family workshops. A big thanks to Mark Anstey at Lot 19 for hosting these workshops and Julie Begg for our beautiful bushland accommodation. Back to Tallarook. We hosted a whole family waterpot painting workshop. Each child painting a pot to be stacked as a garden sculpture, a gift for their grandparents. 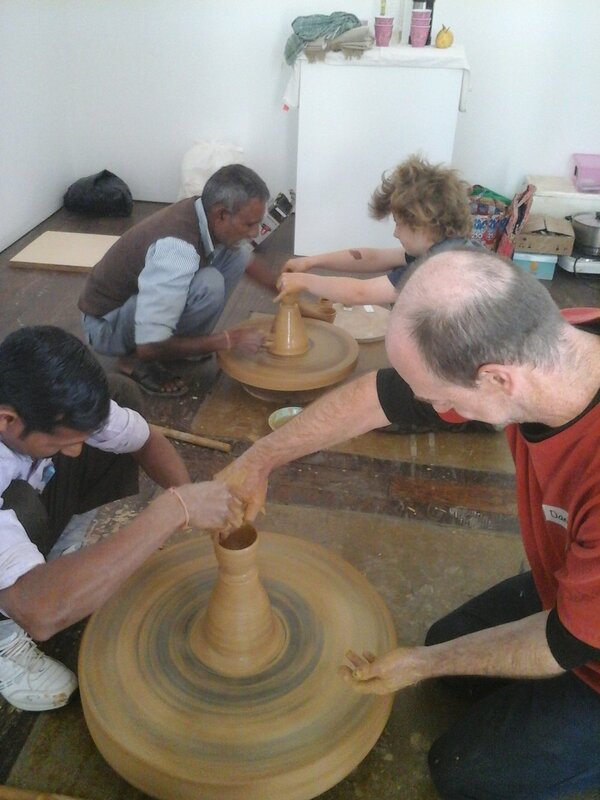 Finally we made a kiln load of matka as well as making some cooking pots, handi. Handi are used for cooking biryani, dhals, rice and more. I have been using one on gas or in the oven to cook perfect rice. We had orders from Indians missing their traditional home cooking techniques. For me it was the first time I had watched Manohar Lal work through the compete process. I asked him where did you learn this, " mummy and daddy", at this point I had to turn away, why was it that those 2 words brought, and still brings, tears to my eyes. The power of embedded artisan skills anchored in tradition? 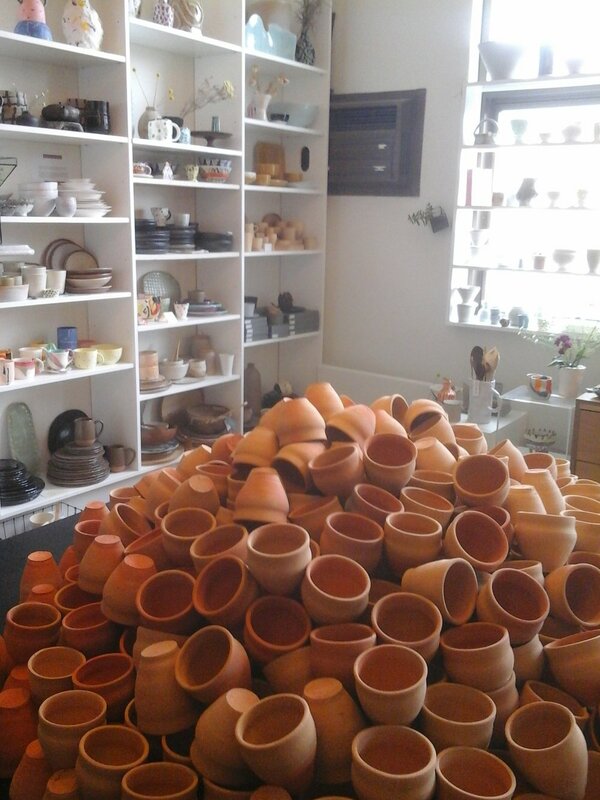 And a final image, indicative of the resourcefulness of all the traditional Indian potters I have come to know. Manohar Lal refining tapa ( the mallet used for shaping rounded bottomed forms on the outside the pindi, made for lowfired clay, mushroom on the inside) a broken bottle to shave a concave curve in the watersoaked timber. A big thanks to all participants in the Crosshatched 2017, each tour is different, we create new friendships, rekindle old and slowly widen the touch of Crosshatched, connections through ceramics. Special thanks to the core Crosshatched team Ann Ferguson, Manohar Lal and Asha Ram. And Northcote Pottery Supplies www.northcotepottery.com.au for sponsoring clay for ArtPlay and the family workshops in Castlemaine.